Download and Fill Out This Form To Expedite The Processing of Your Order, Return To Us By Email Or Fax! 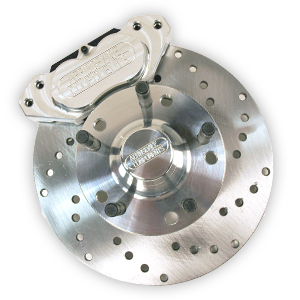 Weight, speed and use of a car plays a significant role in determining the requirements of a brake system. One brake kit is just one portion of a brake system and may require other portions of the system to be changed in order to function properly. Please call us with any questions you may have about achieving the correct system for your vehicle. 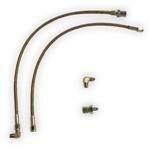 Front Brake Hose Kits. Fits Most Pre 1985 GM and Mopar Vehicles. Most Pre 1982 Ford Vehicles.